Nikola Mirotic Sunday was back in the United Center for the first time since the February trade to the New Orleans Pelicans. Mirotic was easing into the season and didn’t play Sunday in the preseason opener for both teams, but he was working the corridors and hallways, greeting former teammates and employers, shorn but not shy. It was supposed to be as a career Bull for the 6-10 forward from Montenegro until an uneasy contract negotiation last summer that concluded with a one-year guaranteed contract. Then there was the preseason fight with Bobby Portis that resulted in the facial fracture for Mirotic and suspension for Portis. 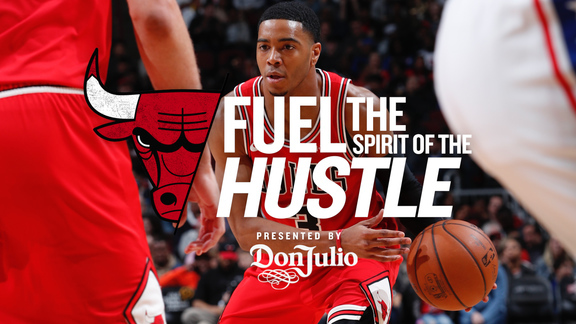 It contributed to the Bulls’ ugly 3-20 start. Then, stunningly, Mirotic returned to lead the Bulls to their best play of the season, seven straight wins and 10 of 12 before the Bulls eventually traded Mirotic to the Pelicans for a first round pick. The pick was used to select Chandler Hutchison. The Pelicans were desperate for scoring with the injury to DeMarcus Cousins. 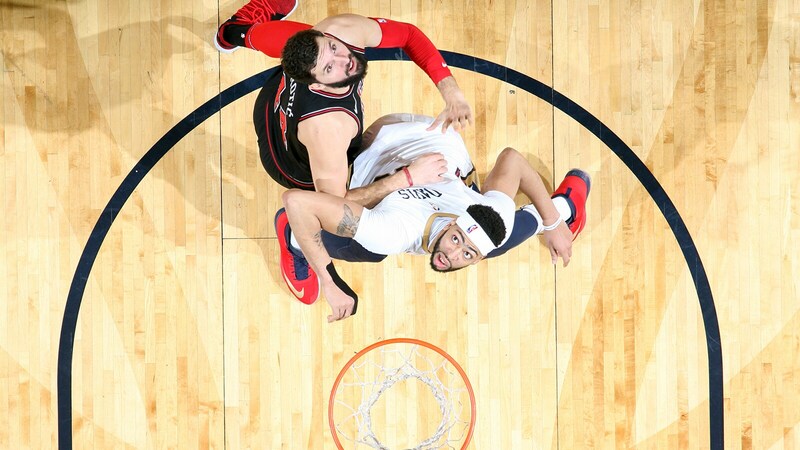 Mirotic, 27, after an uncertain start in New Orleans shaved his beard and became a vital part of the Pelicans’ smooth upset run to the conference semifinals. The Bulls had hoped Mirotic would be that player for them when he came out of Europe as the top young player. He averaged double figures in three full Bulls seasons, but was hindered by medical problems with an appendix operation, varied roles, growing competition at power forward and his own inconsistency. He was on the way to his best season in his return, averaging 16.8 points on 43 percent shooting on threes before the trade. Could he have remained a Bull? Would he even have wanted to? But it was the end of the Bulls/Mirotic marriage. Most figured it was inevitable following the fight with Portis, about which neither has ever explained in detail. Though Mirotic said he never did speak with Portis and doubts they will speak about the fight, Mirotic said he isn’t bitter or angry with Portis. 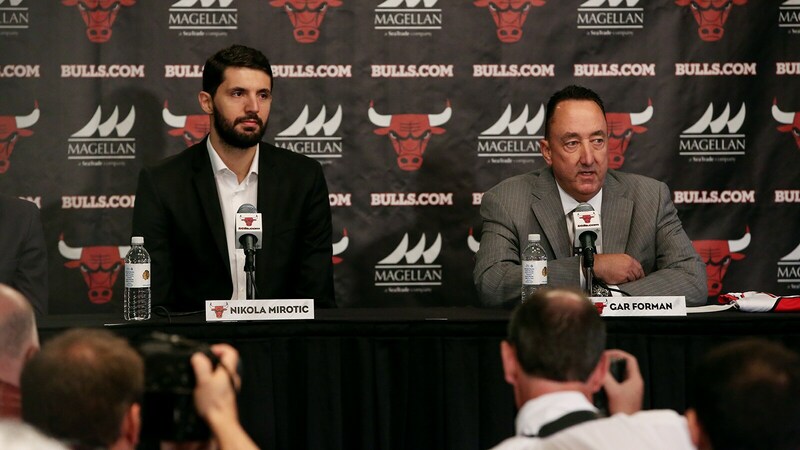 “Obviously what happened stays in the past,” said Mirotic. “There is nothing I am regretting right now. I saw that Bobby had a great end of the season. I was happy for him. The team was playing well. Even if they were losing they were playing well, developing the young guys. But it was a very challenging year for me. The relationship I had with Bobby was professional; we never talked. We did shake the hands (fist bumps). Sometimes that silence that we had between us was helping us to have a better relationship, to respect more each other and it is going to be that way for the future. There is nothing we need to talk (about). Just be professional. He’s playing for his team and I am playing for my team and everyone is trying to do his best. “Obviously I didn’t play the best basketball that I was supposed to play (with the Bulls),” Mirotic acknowledged. “I had really good moments; some were not so good. Being consistent, it's something I've been working on a lot the last few years, something I've been missing when I was here. I think there were some things that happened in those three years that maybe did not allow me to do my best game, but you know that’s the life, that’s the experience I had the Bulls.